Joy enjoying the weaving poles! 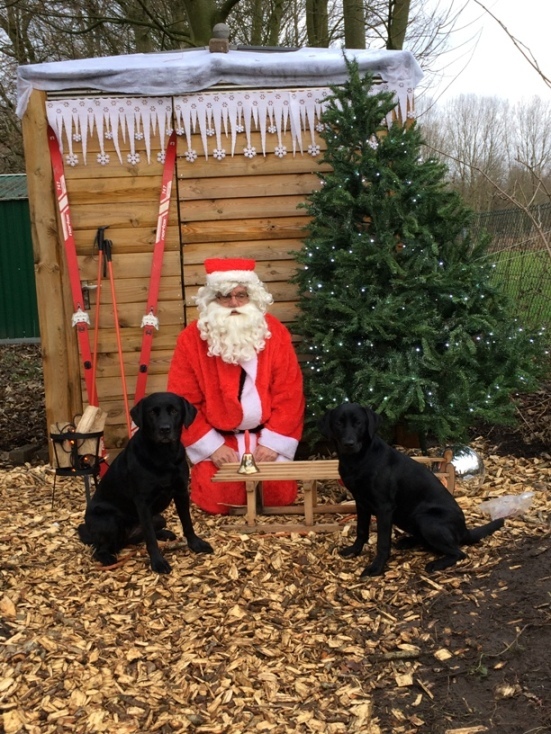 They had asked us to give demonstration para-agility and as assistance-dog on their first Jingle Bells Dog Event on the club KC Pampus, organised for their 35 years exist! A very big and nice organised event with free workshops and readings to do and a lot of nice and interesting shops. Even for all members of this club and all helpers of this day a winter-BBQ at the end of the day! 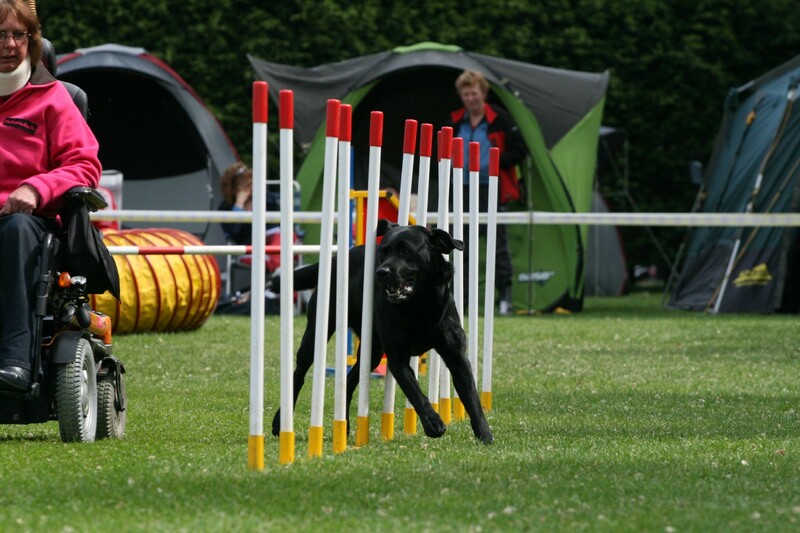 There she could run at the end of the day and showed again that also a assistance-dog can enjoy agility-sport! Even for her a little demonstration para-agility...just to stay for a jump ( with the board on the ground) and wait for the command to go througt the tunnel....just a start of the agility-training! She likes both to do, that's the most important!! 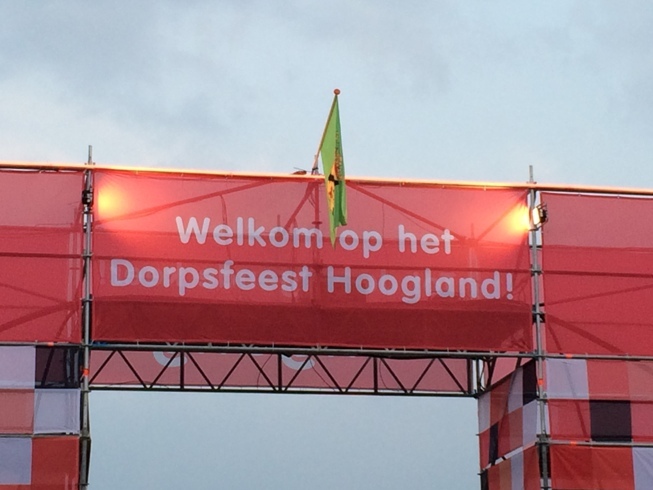 The Dorpsfeest of Hoogland, this year being hold from 15 tuntil 18 September, is always a very nice and big Event, organised by a lot of volunteers! 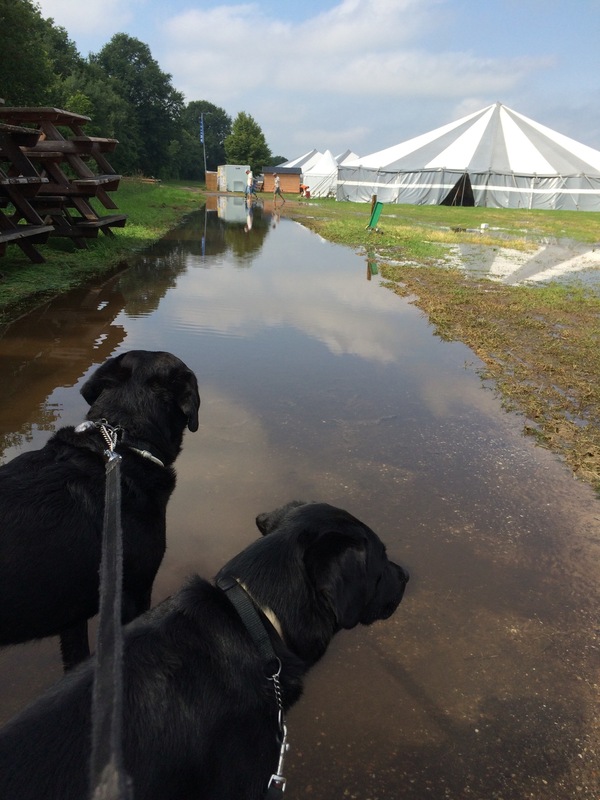 I was invited with my dog Joy, to give demonstration of our Attempt Record "Live- agility obstacles" made by children! 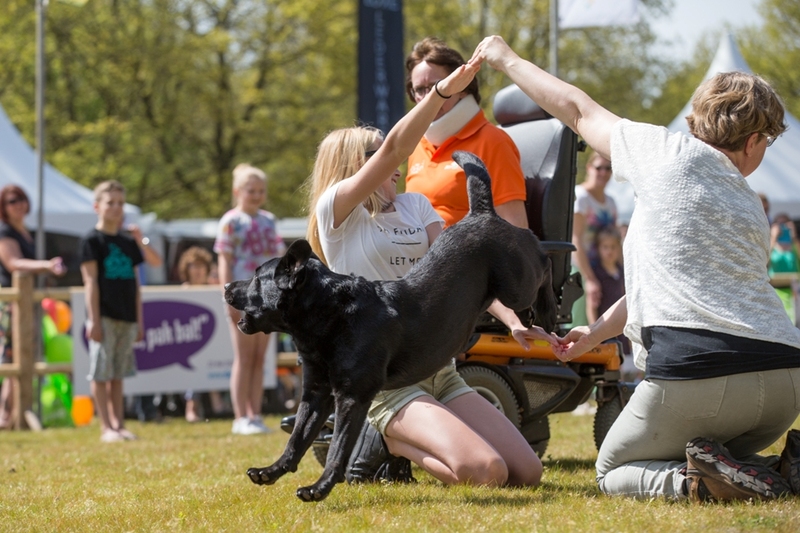 Even Mandy van Laar, with her dog Lizzy, for Attempt Record "live Hoopers- obstacles". 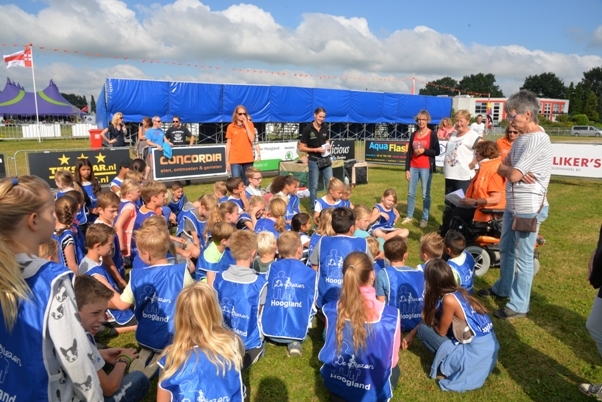 Together the children of Basicschool De Biezen in Hoogland, we have trained more then one year for this Record. 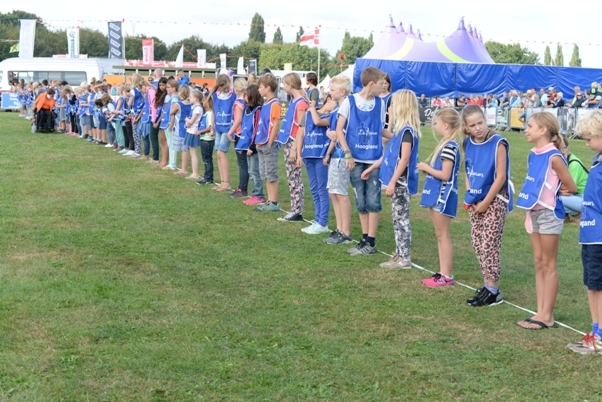 It was started as a Project "working together children and dog" and after some months there was arised the attempt for a Record for a Jumping-agility course and 60 weave-poles, all make by children! 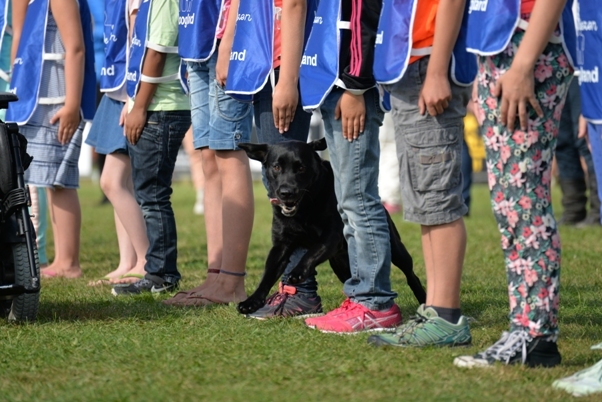 We trained the children to keep calm, not be affraid for Joy who can run very enthousiast and perhaps you can f touch her tail......and she can make a lot of noise by barking. 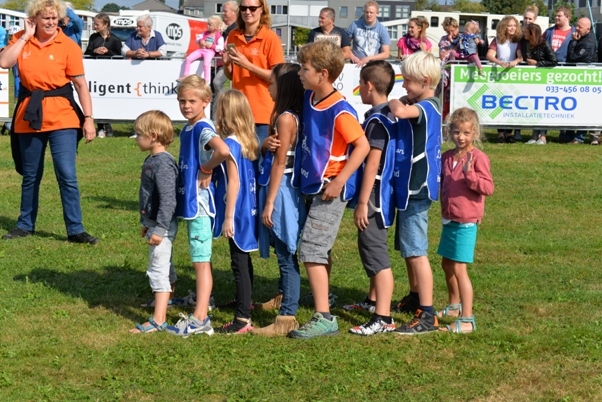 The hole Jumping-course was ready, totall 11 "live- obstacles" of children wich Joy will run two times, then we have a real Jumping -course of 22 obstacles. We had 5 jumps, 2 tyres, 2 long-jumps, 1 tunnel (10 children) and weave-poles of 12 children. All done in a great ring of 30 x 50 meters with a lot of interested parties and ofcourse family and friends of the children! Joy did enthousiast her work and our Record was succesfull! 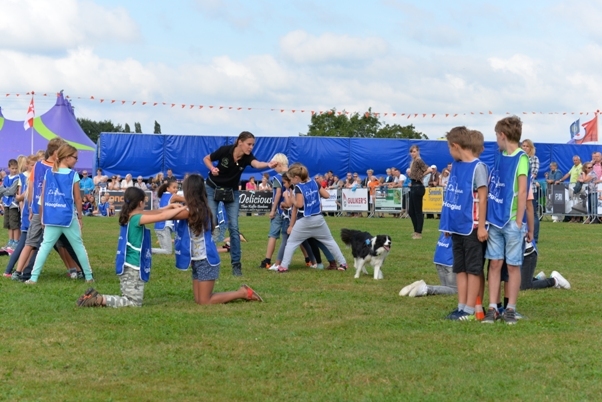 After us Mandy van Laar was running a "live Hoopers-course "of 8 obstacles, two times running, with her young dog Lizzy a border-collie. Even they have showed a long tunnel of children. Both succesfull!! Extreme concentration for me and Joy....will we manage? the first weave-pole is okay....there we go for the rest, 62 to go! concentration for Joy and me! the last weave-pole....we have done!!! For Jett her first demonstration...and she liked it very much, just before I could say "go " she was running! Together Caroline Vink and her dog Viktor ( me with my dog Joy) we have given demonstrations para-agility on the 6 th DogDay of Beach Erkemeder in Zeewolde, in cooperation of Dogschool WRAF (www.hondencentrumwraf.nl). 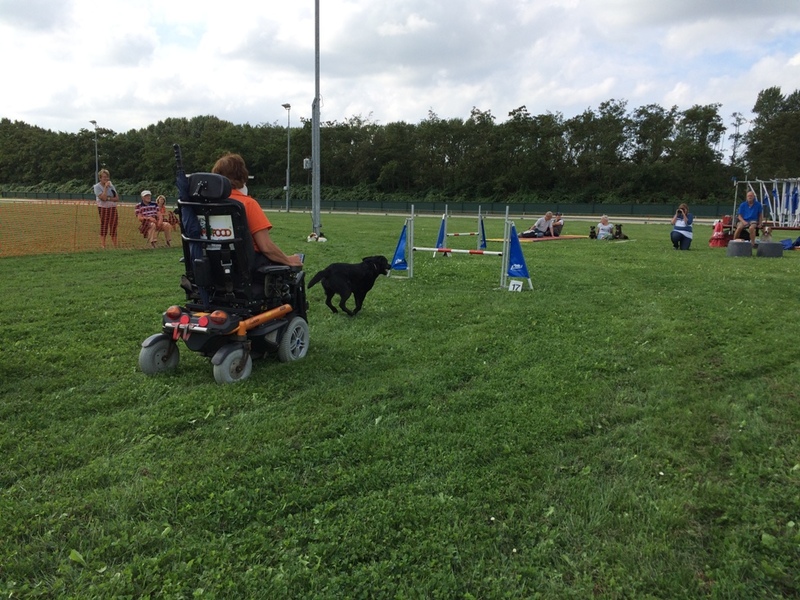 A very homy day with a lot of enthousiast public and even a nice opportunity to show para-agility to a lot of dogowners. 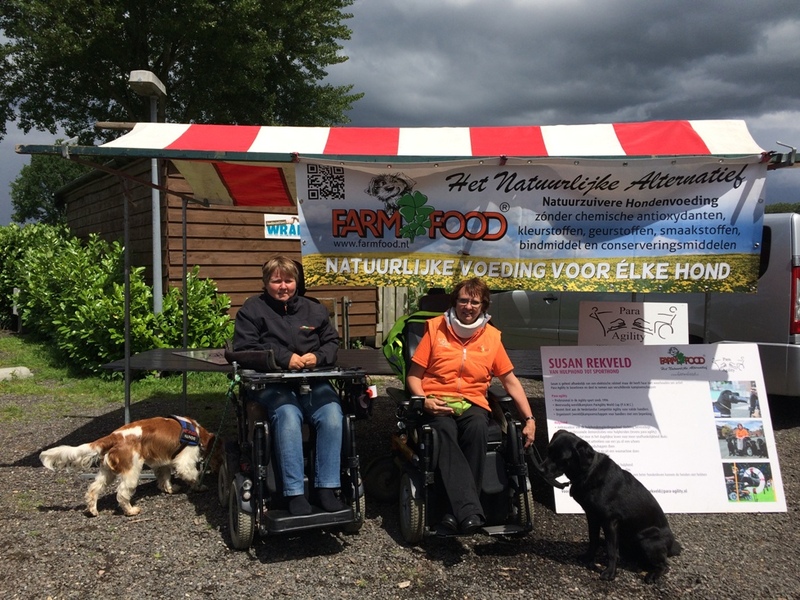 Also Mandy van Laar and Mandy van Gelder had given nice demonstrations Hoopers, a new dogsport very quick rising! 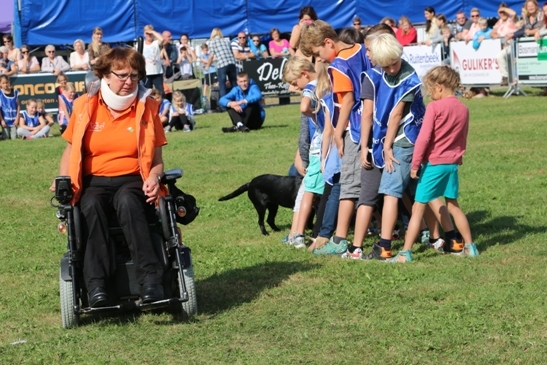 Even this yea Mario Lehtonen and I have organised the demonstraties in the Dog-Ring on the 21th Country Fair in Aalten. 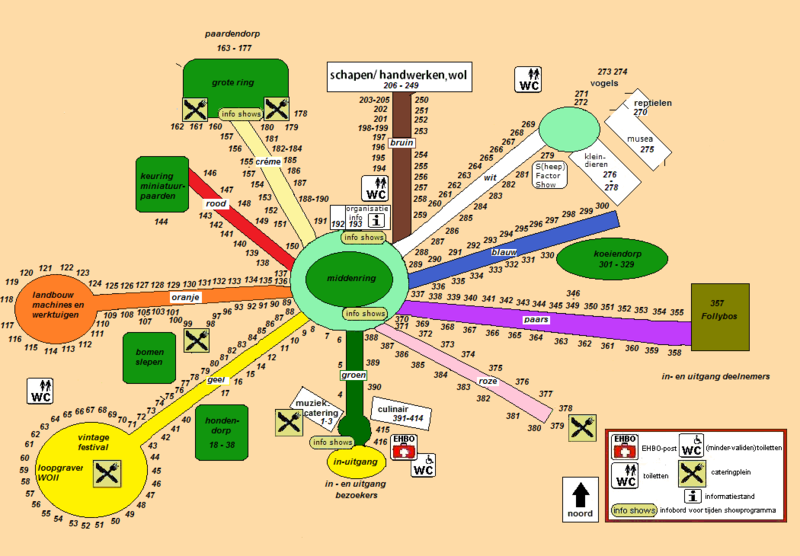 A great Fair with a 400 stands, a few nice Rings with a lot of wonderful and spectacular demonstratiosn on three days long with normal more then 35.000 visitors. 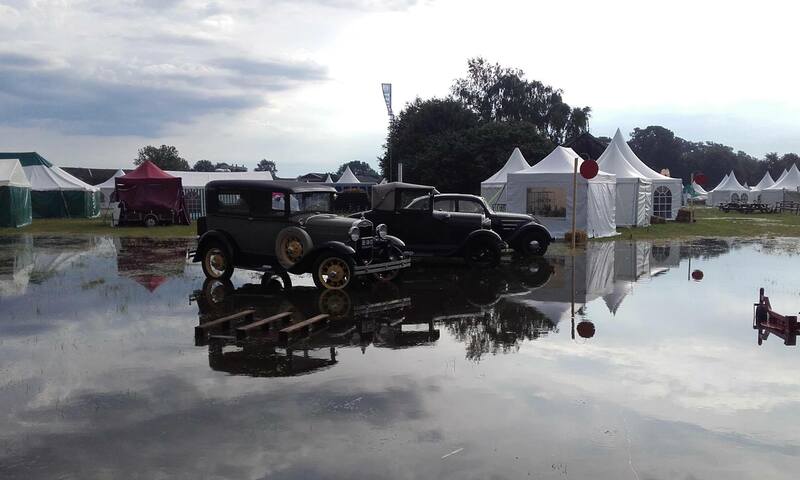 But...with great help of a lot of co-workers, exhibitors, equipment to remove the wather, a lot of bales of strow the organisation have succeed to make it possible to open the Fair for saterdag and sunday...I had a lot of respect for this!! 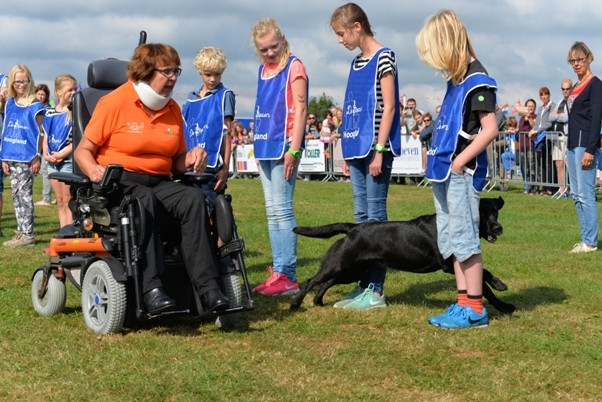 Joep had given demonstrations assistence-dog and Joy para-agility. 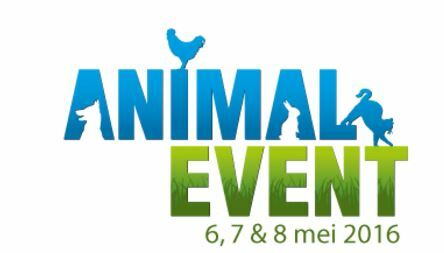 Invited by Farm Food Dogfood to give demonstrations on Animal Event, a wonderfull nice and big dog/ animals Event on the park Beekse Bergen in Hilvarenbeek. 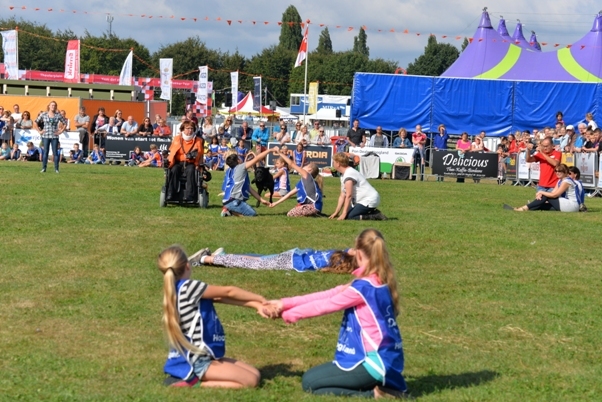 For the first time we showed our demonstration "live agility-obstacles" to public and of course a good chance for repetition our attempt for a Record "Live agility- obstacles"on the Dorpsfestival in Hoogland on 18 September.